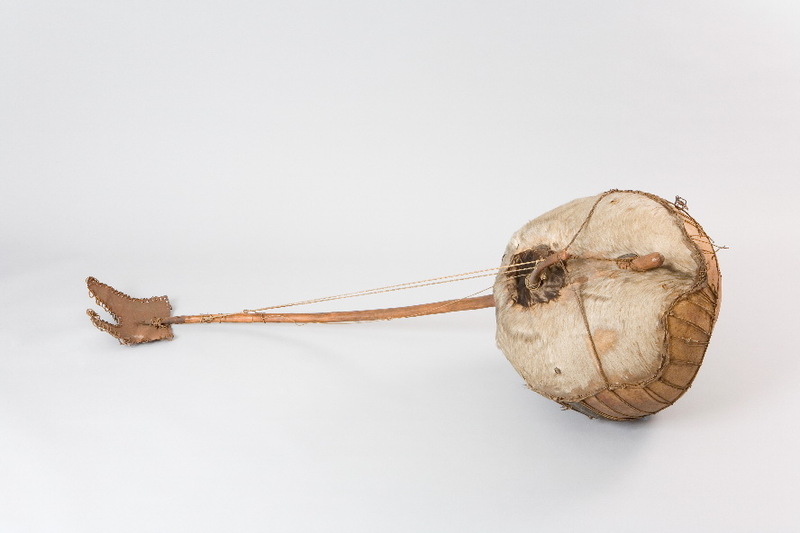 A string instruments, called a bolon or bolon bata . 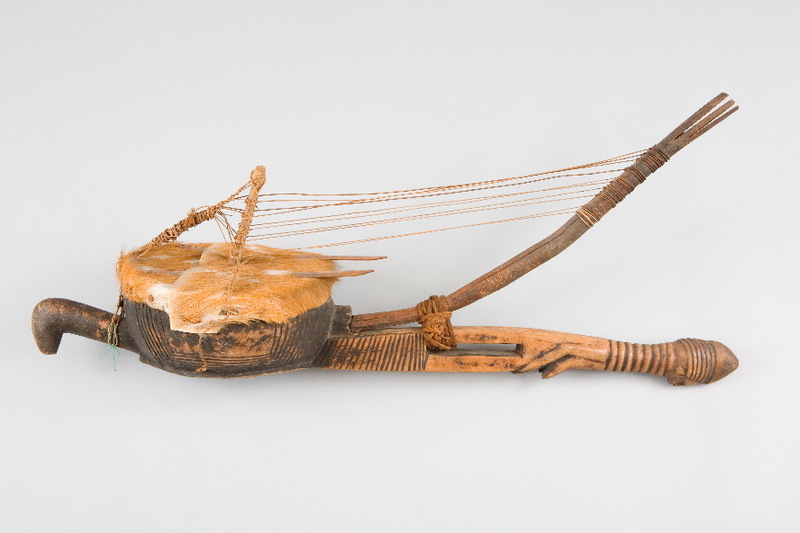 The bow harp is covered in animal skin, and has three strings stretched across a gourd. 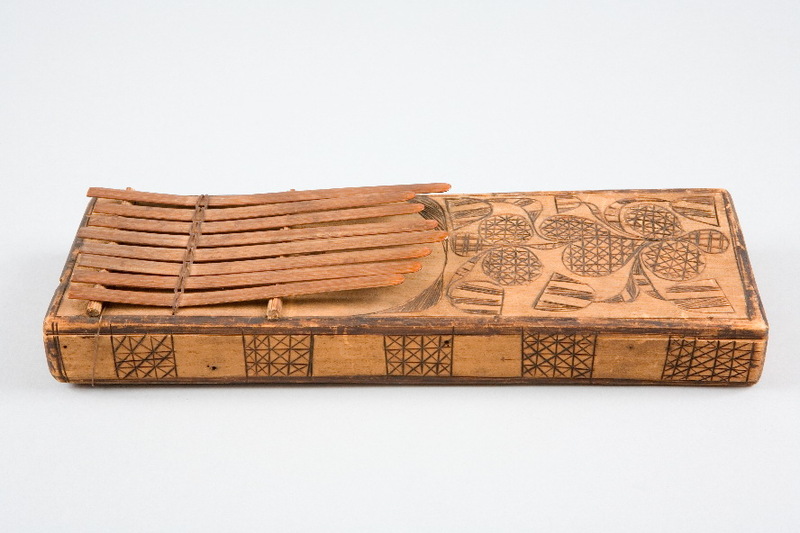 It has a tin rattle at the opposite end. 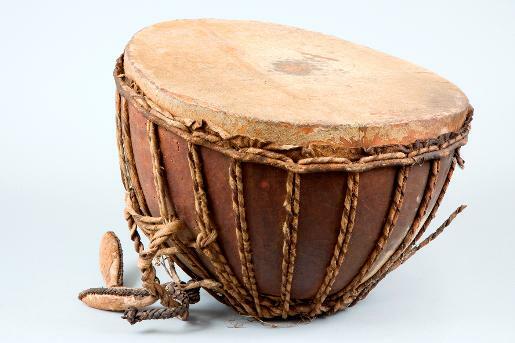 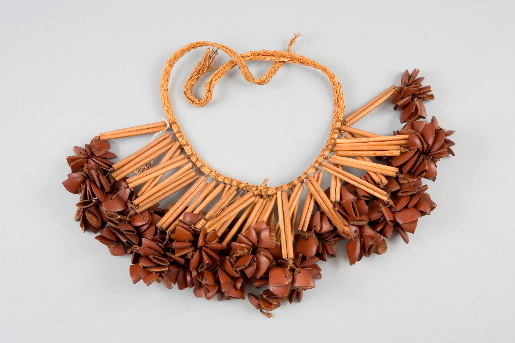 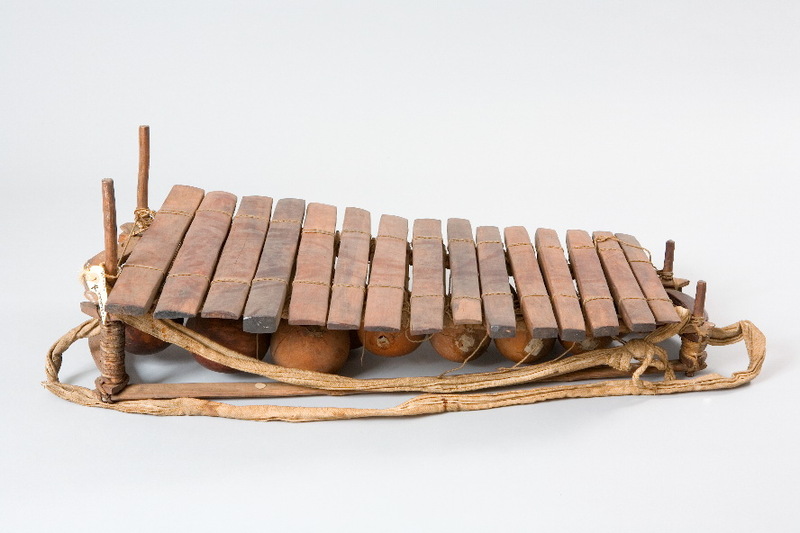 It is used mostly by Fula musicians.